Releasing a book to the world isn’t like having a kid. Our first child arrived within a few months after my first book was released. Having a new born child is way harder. For instance, a new born book has never projectile pooped on me. But all the same, it has been fun watching my books grow up and reach more readers. And in many ways WEARING is still the older child that all the teachers know, blazing a path for its younger sibling, EATING, in the common read world. 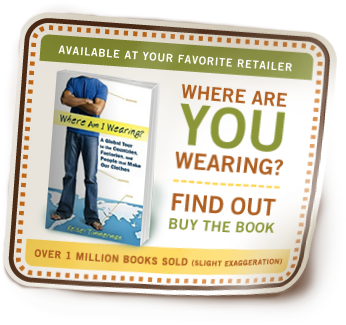 WEARING has been selected at like 25 different common read programs and EATING, which is out of the gate faster that WEARING, has been selected at four.